“An Arboretum?” Andrew asked. “That should be interesting.” His voice dripped sarcasm. “What? You don’t like trees?” I shot back. “Trees are fine but I can see plenty of them all around us.” It was true. We had been spending a lot of time in the forest during the past few weeks and we were driving through the Forest of Orléans to reach our destination. “Well, I’m looking forward to it,” I said. In fact, what I was really looking forward to was not having to get on a bike or paddle a canoe. Our visit to France’s Centre region had been our most physically challenging. Although it was fun, my body was ready for a break. A stroll around an arboretum sounded like a relaxing change of pace, even if we were just looking at trees. We arrived at L’Arboretum des Grandes Bruyères, in Ingrannes, and all was quiet. It didn’t look like I’d have to wait for many people to pass through my photos at least. We rang the large brass bell at the gate and were quickly greeted by Danielle Valentin, the General Delegate for the Arboretums de France. The house at the heart of the Arboretum with the formal French Garden. She welcomed us warmly and led us through the gate, where we stood before a large house. “M. de la Rochefoucald will show you around.” She gestured to an elderly gentleman waiting by a golf cart. I assumed he was a former botanist, or the like, and was passing his retirement by giving tours of the local arboretum. We piled into the golf cart and Monsieur began giving us the overview of Grandes Bruyères. 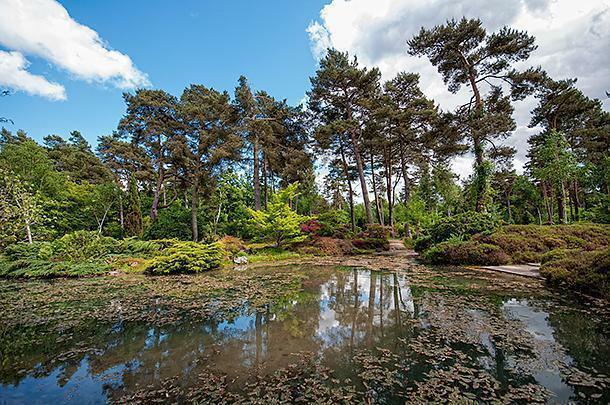 The arboretum was established in 1971 on 12 hectares of land inside the Forest of Orléans. 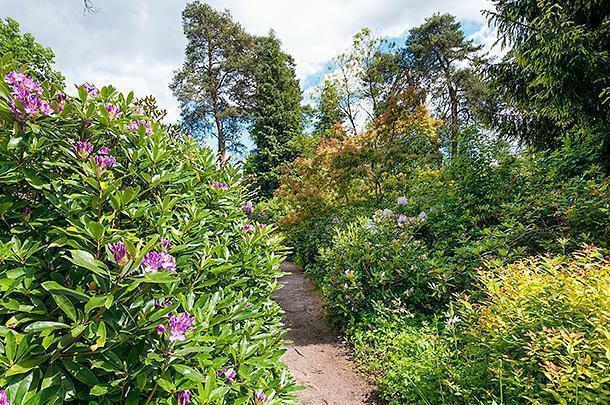 Today there are close to 4,500 trees and shrubs inside the arboretum, representing 2,500 species. It wasn’t until we started bouncing through the arboretum in the golf cart, we realised there was something special about the park we were visiting, and about the man who was giving our tour. Grandes Bruyères is much more than a ‘library of trees,’ as Andrew was expecting. It is what the French call an arboretum paysagée, or a landscaped arboretum. 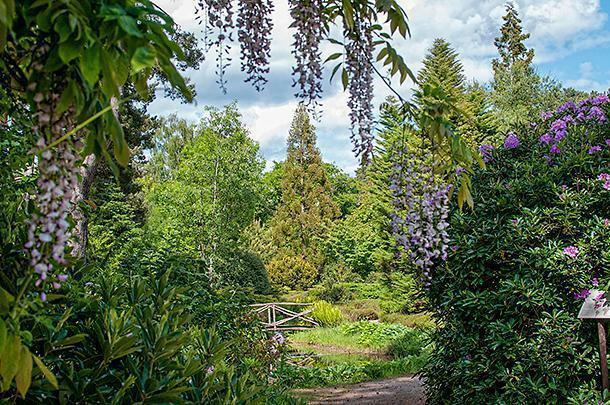 The plantings are laid out in three main regions: North America, Europe, and Asiatic, with additional garden areas including a beautiful English garden and a formal French garden. There are almost 1000 varieties of old roses in a labyrinth which, sadly, we were still a bit early in the season to enjoy. 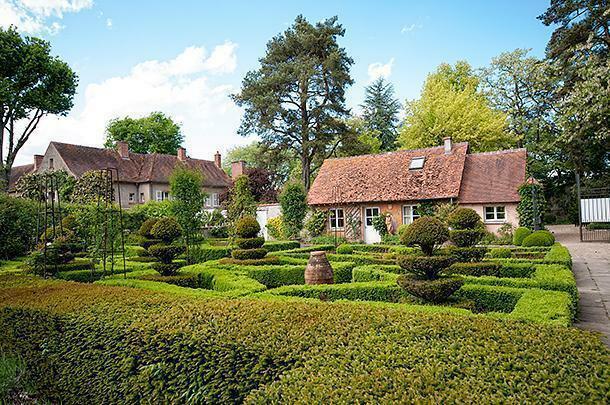 From the bushes emerged an elegant elderly lady wielding secateurs, wearing gardening gloves and pearls. She was surrounded by a heard of frisky fox terriers. As we shook hands and were introduced to Mme. de la Rochefoucald, it suddenly became clear – M. and Mme. 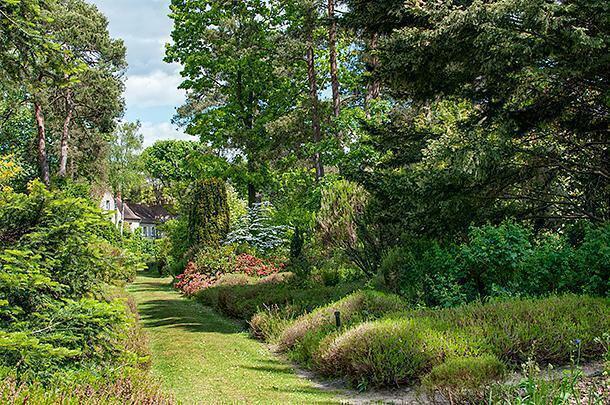 de la Rochefoucald weren’t just the caretakers of the arboretum – they owned it. 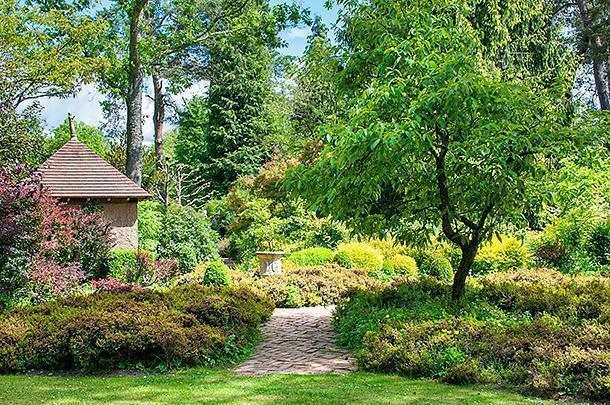 This stunning arboretum has been a labour of love since the early 70s. As we spoke with Madame, we pieced together more of the story. They had purchased the land from a forestry company, with a view to creating a garden for their children to enjoy. However, as they began to clear the land, they stumbled on some rare varieties of trees and, bit by bit, their mission became clear. Their garden would highlight these rare trees within the Forest of Orléans. As Andrew and I looked around the vast, landscaped arboretum, we had to agree. There is no way we’d consider taking on a project of this scale. I had a hard enough time keeping the plants on my tiny terrace alive. Making this garden grow takes a lot of effort. “We need more people to visit, you know,” continued Madame. “The French aren’t so interested in visiting gardens. Not like the English. 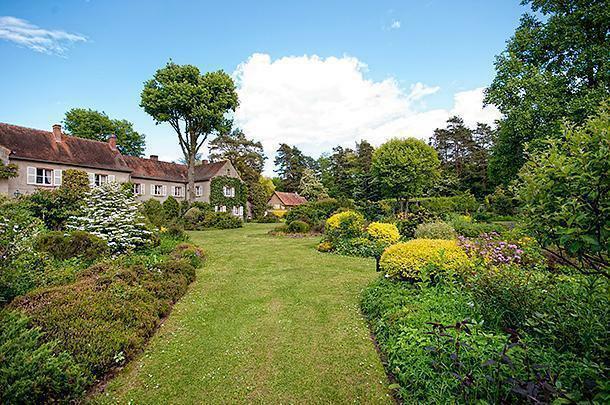 The English love gardens.” We assured Madame we would be sharing Grandes Bruyères with our English speaking audience, many of whom are indeed garden lovers. With that, Madame and Monsieur took off in opposite directions in their matching carts, each with a flock of terriers trailing after them. One of the famous fox terriers makes his way to the ancient Oak at the heart of the arboretum. As we strolled past the magnificent trees and flowering bushes, we couldn’t help but wonder what would happen once this eldest generation of de la Rochefoucalds was no longer able to oversee the vast grounds. At the end of our wanderings, we were met again by Danielle Valentin who explained Grandes Bruyères is part of the Arboretums de France and would be protected long after all of us have passed on. The organisation is funded by donation and, in addition to preserving these beautiful, natural spaces; their mandate is also to educate the public. 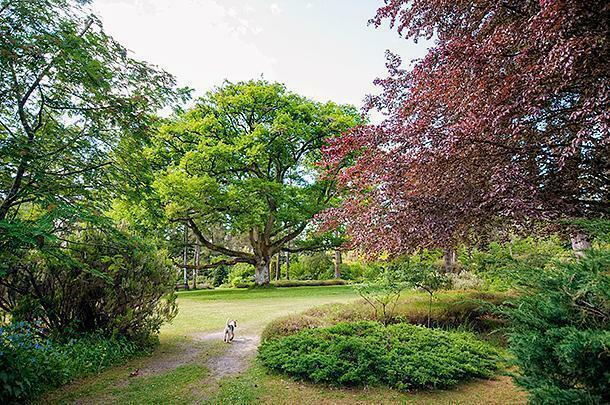 This means that Grandes Bruyères and arboretums like it are much more than just a collection of trees, no matter how prettily they are displayed. The park is a haven for wildlife. We could hear plenty f frogs singing in the ponds. No chemicals or large machines have ever been used inside the park, making it a haven for wildlife as well as plants. Naturalists have visited Grandes Bruyères to study the birds, insects, and mammals that make their home inside the park. 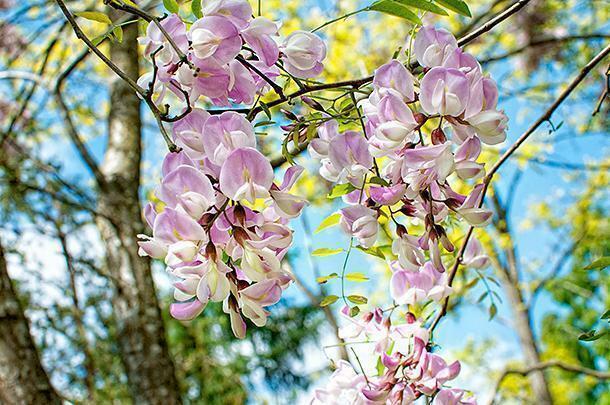 Spring is a perfect time to witness the blooms throughout the arboretum. 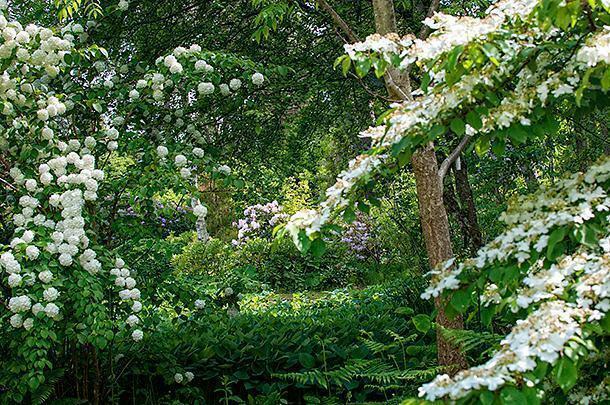 This ‘arboretum paysagee’ is so much more than just trees. 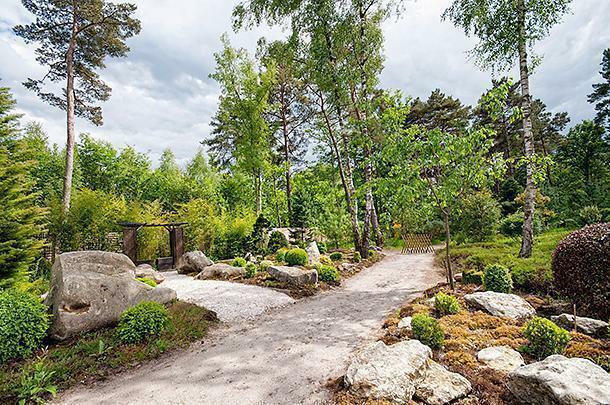 Grandes Bruyères has also been recognised for its beauty and is designated one of France’s Jardins Remarquable by the Minister of Culture. By the end of our visit, we both agreed, Grandes Bruyères and the people behind it are remarkable indeed. 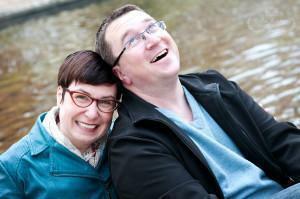 This Jardin Remarquable is remarkable as the couple who began it. The nearby Chateau de Chamerolles is partnered with Grandes Bruyères and is dedicated to the world of perfumes. The garden includes a ‘Perfume Promenade’ and the chateau’s interior contains displays about perfumes through the ages. The Jardins de la Javelière in Montbarrois is an English-style park, with a rosarium, marsh, and formal garden. It is also a Jardin Remarquable. Also on the Jardins Remarquables list is Les Jardins de Roquelin, an English garden featuring a collection of old roses. 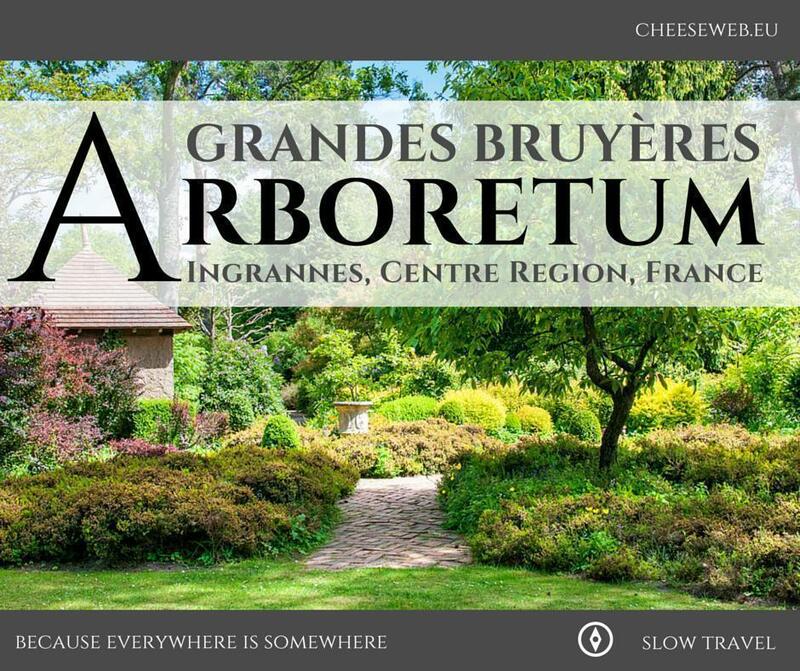 And another Arboretum rounds out the list of Jardins Remarquables, in the area. 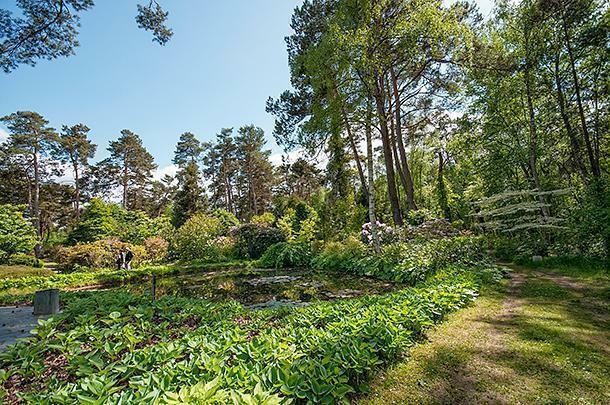 The Arboretum des Prés des Culands has the national collection of Ilex trees and a number of aquatic plants, shrubs and trees on two hectares along a river. We’d like to thank our wonderful hosts at the Arboretum des Grandes Bruyères for a lovely visit, and the Région Centre-Val de Loire Tourism office for hosting us in the area. As always, all opinions are our own.